This recipe is one I make quite often at this time of year. But it is only one of many things that can be done with the humble cauli. Appropriately frugal in both expense and calories, winter cauliflower is a fairly magical vegetable. 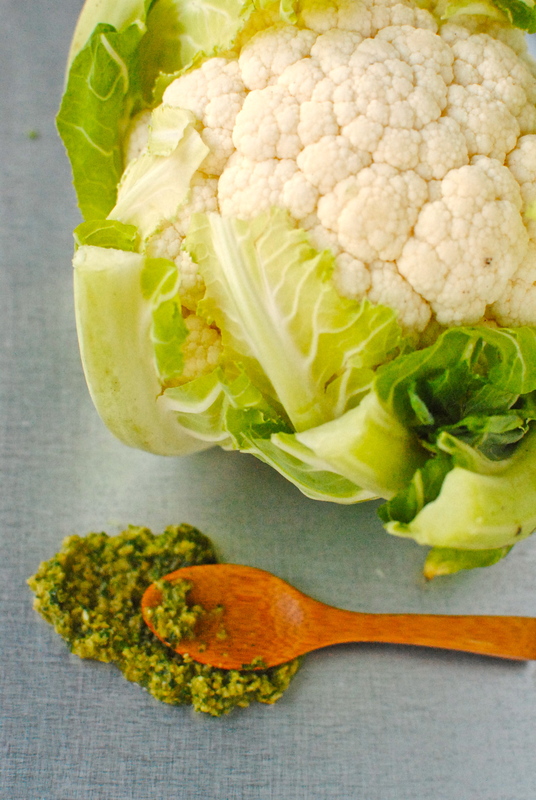 With little effort the pretty pale curds can be transformed into a credible mashed potato and couscous or rice substitute (paleo-adherents love this brassica), as well as being an equal partner in the UK’s number one comfort food, cauliflower cheese. I and others also like it tossed in a little oil and lemon or balsamic vinegar then roasted to golden perfection in a hot oven. And soon I will be posting how to make this vegetable go from pale to pukka in just a few ingredients. 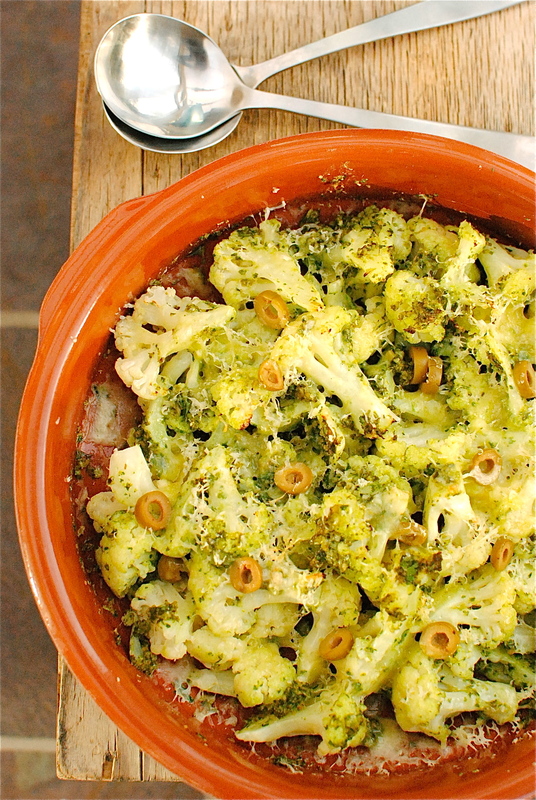 But first, my go-t0 cauliflower gratin. Maybe I am stretching the definition of gratin a little here, what with the absence of gooey sauce and the accompanying calories and fat. But there is cheese and it does bubble, so technically I think I can just squeak this one. 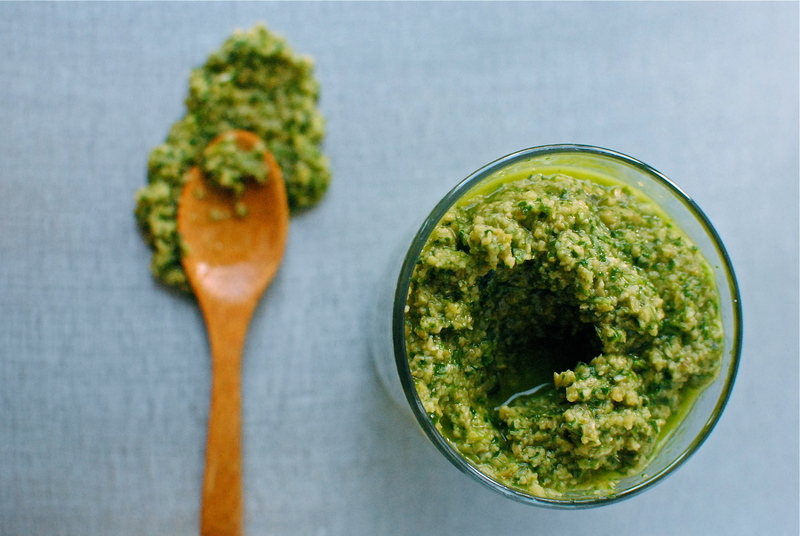 The real change up is the tapenade. Toss the steaming-hot ivory florets, pure as the driven snow, with this sassy sauce and you have food begging to be eaten straight from the dish. Certainly saves on the washing up. We had this yesterday as a light lunch in full knowledge of the Yotam Ottolenghi Lamb Sharwarma (from his latest, Jerusalem) feast to come. 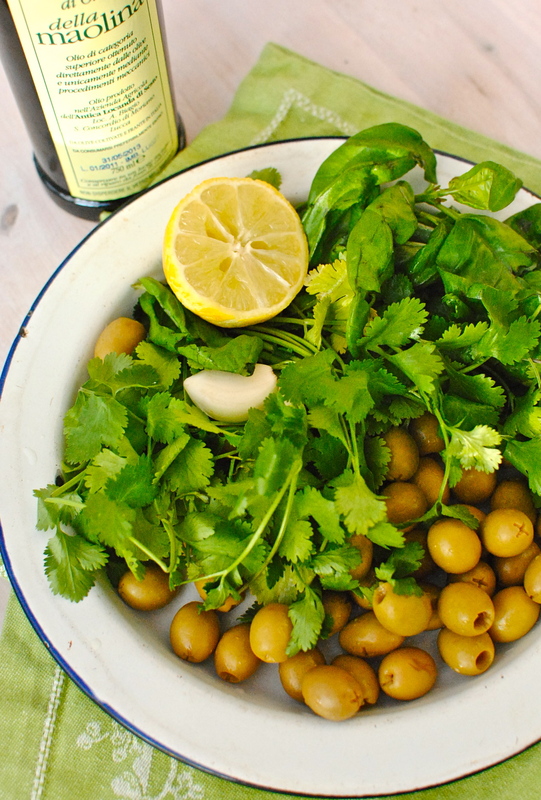 It was the perfect veggie lunch – filling yet light, with plenty of punch from the olives and coriander. Despite the magnificence of the evening meal (I can say that as I followed his recipe to the letter), my cauliflower and green olive tapenade gratin was no slouch. If you were having it as a main evening meal you could heft it up with shreds of cooked chicken, frazzled and crumbled butchers’ bacon, or as a side to grilled fish. Vegetarians, as opposed to flexitarians, might want this with some cooked white beans mixed right in, adding more tapenade as needed. Entirely flexible. I have sneakily not included the word ‘coriander’ in the recipe title, despite it being packed with the stuff. To be honest, this frondy, parsley looking herb provokes great hatred in some. Possibly you are such a hater. Coriander, or cilantro to my US kin, is the very definition of a love-it or hate-it food. Haters describe it, variously, as tasting of soap (the kindest detraction), “metallic dirty sock water”, “rancid chocolate”, squished stink bugs (Mr A’s opinion, before he was converted). Leoweekly has an amusing article and indeed a reasoned explanation for the hatred (it’s the aldehydes, apparently). Not so the out and out ihatecilantro. No reason: just damnation, a health warning and 1500 followers. Cauliflower too has its detractors, but at least they know they are wrong 😀 How can you truly hate something you can cover in cheese sauce and yet still has loads of Vitamin C (if not boiled to death), B vitamins, fibre, cancer-fighting sulforaphane and indole-3- carbinol, and can substitute for rice or potatoes if you aren’t too picky? And at only 25 calories per 100 grams of the white stuff, a bit of added tapenade and cheese still makes a lower calorie meal. Not that we care about these things, of course. Coriander also has nutritional goodies (blood sugar lowering, cholesterol balancing, bacteria-zapping), but as the word coriander comes from the Greek, koris, meaning bug, some folk are always going to give it a body swerve. Track of the Week: ‘Trust Me…I’m A Genius’ by Family Rain. They are like an edgier The White Stripes, with a soupcon of AC/DC. Loving this “hip-hop inspired dirty blues-infused rock ‘n’ roll” Bath-based band. Found them on nme.com, although I fall well out with their target audience. What’s missing from the recipe title is the word coriander, and there’s loads of it here. Too cumbersome to include in the title, but essential to the earthy, grassy taste that complements cauliflower so well. Others disagree, violently (see above), so if you are of this ilk, please substitute the offending herb for parsley, and maybe up the basil. I have a similar hatred of hazelnuts and offal, so fair enough. The made up sauce keeps for a week in the fridge, before which you can use it up in this recipe, smear it generously on fish or chicken before roasting, slake with water and more lemon for a delicious salad dressing, stir through hot grains, mix into soft cheese for a fab dip or bread spread. You’ll think of other uses long after you have finished the jar. Next time. 2 heaped tbsp pumpkin or sunflower seeds (optional) – accidentally left out of the photos! Steam the cauliflower florets for eight minutes for a cooked but still firm texture. Pop these into a wide, oven-proof dish, stir in the tapenade and scatter over the cheese, seeds, pepper and extra olives. Pop under a medium-hot grill – about 8 inches away – until the cheese has melted and started to brown a little. Drizzle over a little extra tapenade (slaken with a little water or more oil) and serve immediately as a side dish for 6, or a light lunch/supper for 4. Put the first four ingredients into the bowl of a food processor and blend for one minute, scraping down the sides as needed. Pour the oil and lemon juice through the ‘feed tube’ and process until just mixed (a few seconds). Makes one jarful. Can be frozen. Thanks so much Liz. I do hope you make it. Another gorgeously healthy dish Kellie! Corriander, or what we call cilantro here in the states, is my BFF. I will take it over parsley any day of the week. Hate seems a strong word, but I really dislike shrimp, turnips, & rutabaga, and not a big fan of celery (unless in tuna salad) or parsley :-). Can’t wait to try this deliciousness! I’m not desperately keen on turnips and rutabagas either but both are okay with other things, with baby turnips actually being quite nice and delicate with only a wee bit of a nip. Strong Scottish crops so one does encounter them a lot here so if you can’t beat ’em, join ’em! You make the best food Kellie! This looks fantastic. Our cauliflower will be in season very soon. I take it with a name like agrigirl that it is all home grown? I hear it is well tricky to grow, so kudos if you have them in your garden. I can just about cope with my kale! Oh that looks so good and so different and creative! I love it! Aw, that’s very kind of your to say. I will remember that the next time I am tempted to have plain old beans on toast! I’ve few real foodie ‘hates’ – I steer clear of tripe and brains, am not thrilled by cooked turnips (or I guess in Scotland, swede? The big brown one anyway) and for some reason I’m not keen on potatoes in curries, christmas pudding, fruit cakes or dessert pies made with thick pastry! 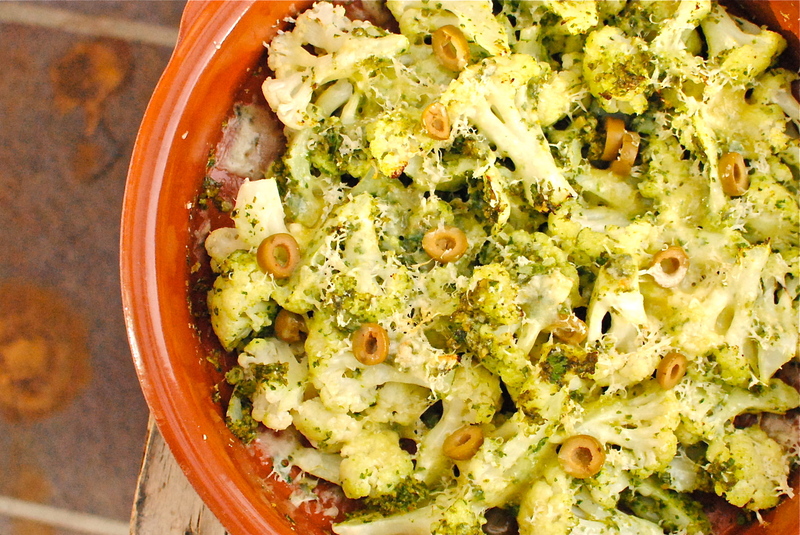 re veganising this: just don’t gratin it and add in cooked white beans, maybe blasting in a hot oven so the caulis get just a bit tinged. And use more tapenade as the cheese adds moisture. How’s that? BIg brown swedes are not the best but can give an edge to soup so I am okay with that use. Young ones are nice though.Not keen on fruitcakey things either, which I found when I moved here in the very late 80s is a BIG thing. I think it’s when there’s loads and with the dreaded mixed peel. How ironic, I was just writing a post about how mad I am that I can’t eat cauliflower! I’m posting a bunch of new and unique cauliflower recipes I’ve found, but can’t make (or eat). This is going on there too!! That’s so coincidental Gina. I can empathise. I write about chickpeas which I can’t eat either, or at least I have to cook from scratch, rinse like crazy and then remove every single little paperthin skin. Talk about fiddly ;D And then I will have just a mouthful… I hope you can at least have a mouthful of cauli. How can you not like hazelnuts?? They are my favourite snack along with a few Medjool dates in an afternoon sugar fix type way. I have to admit that olives are my food phobia but I might have to give them another try as this recipe sounds so delish! I have just overcome my fear of horseradish very successfully so I am on a roll!! I’m sorry Natalie! I’m not besmirching your favourite snack ;D I avoid them if at all possible but if I eat something someone makes me and it has them in it I don’t make a face or anything. But I *really* don’t like the taste, texture or smell (same with macadamias). I know, I’m weird. I should just say I am allergic to them and get some sympathy at least. I love cilantro! Will definitely try this recipe! It looks so yummy! Mushrooms. Yuck! And I’ve put genuine effort into trying to like them. I’ve tried different kinds, cooked in different ways, and I think they’re gross gross gross. Its the bane of my existence as a vegetarian, as most restaurants will have one veggie option and it is more often than not mushroom based. Yuck! 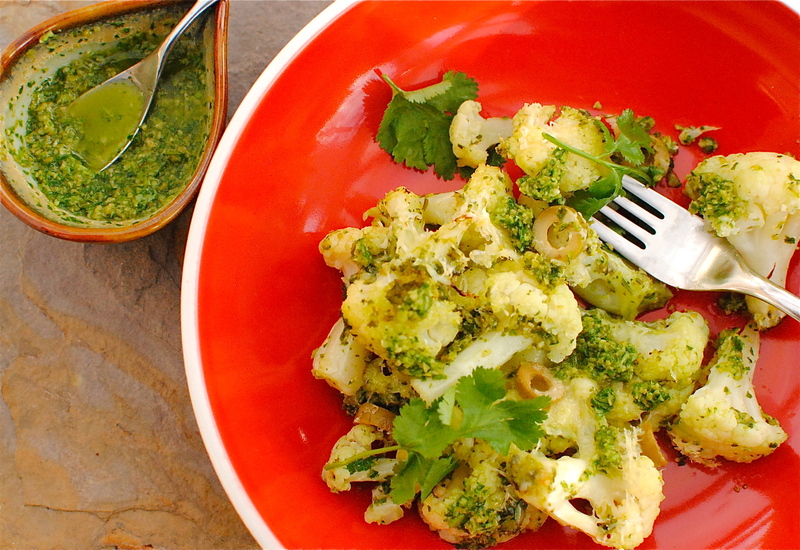 But I do love cilantro, and cauliflower, so this recipe is a sure win for me! Looks wonderful and you’ve got me with the mention of coriander, I love the stuff almost as much as I love mashed potato! This looks really delicious, right up my street, thanks for the recipe. Okra is the only thing I struggle to eat, but I can just manage it breaded and fried which rather spoils the health benefits of it! I bet you have loads of recipes that make it delish? Your lunch was AMAZING – such gorgeous griddled tuna and yummy salads. Plenty of coriander too! I sometimes struggle with okra but I have a good recipe with it in somewhere on the blog, with spicy tomatoes, potatoes and crispy tofu. But ones that aren’t perfectly ripe are yuck. A good trick to try for them is to soak them in vinegar (whole) before cooking them – less slimey. Tapenade…so simple, yet genius. Your pictures are gorgeous. I could eat the whole thing. IT is VERY simple and healthy too, without being squeaky clean. I’m seeing a lot of cauliflower recipes lately and loving every one of them. It’s such an affordable veggie year around. It certainly is, and hugely versatile. I even have a cauliflower and almond pizza base recipe on here somewhere! My favourite way is this gratin recipe and just plainly roasted then sprinkled with lemon juice and salt. The best narrative for a brassica if ever there was one! 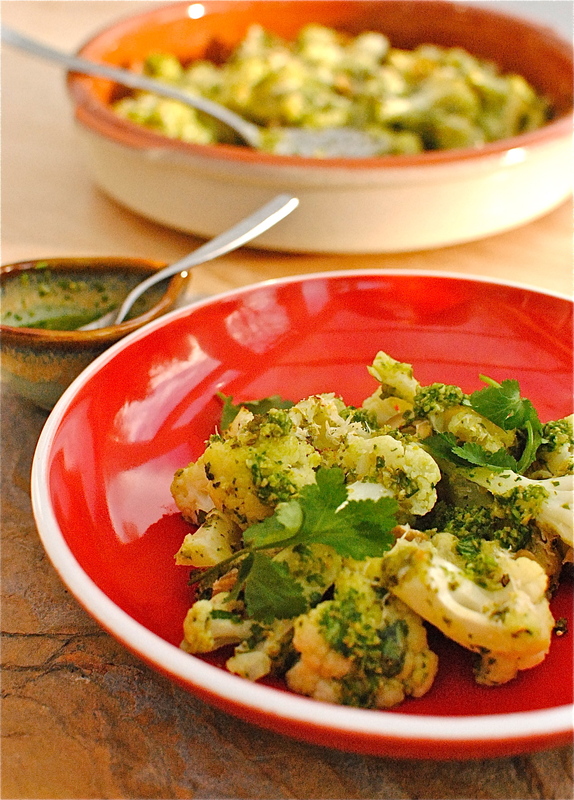 We are cauli-lovers, as well as coriander (yes we call it cilantro, probably due to our neighbors to the south). This looks like a dish I shoul have whipped up for BUNCO night last night. I was the only vegan there, so naturally, my dish disappeared first. Will bookmark for the next potluck. Cheers, Kellie! Love your posts. Thanks so much Shannon! But I have a question: what’s a BUNCO night? And I would love to be -at least in spirit – at your next potluck. We don’t really do that over here but I remember from my Florida days tables groaning with all kinds of goodies. Not many vegan dishes as I recall though! Love potlucks. I just wish there was more for me to eat. :). Got a head of cauli today to fix just this dish — parmesan substitute, tho. Thanks for the ultra kind compliment of choosing food to glow as your blog of the month. Well-chuffed! This looks really good. 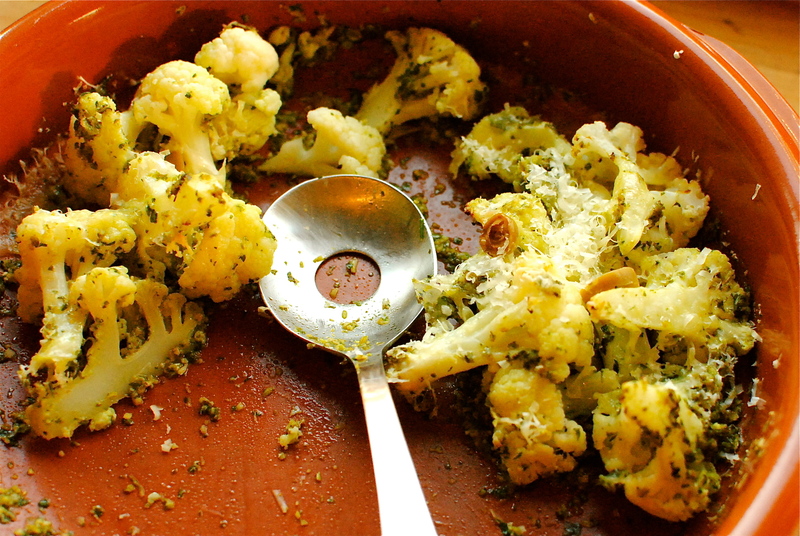 I love roasted cauliflower and that sauce seems amazing! Can’t wait to try it! And the only veggie I do hate is asparagus…just can’t like ti! Thanks Natalie! I don’t know if I have ever converted someone to a food they previously disliked. And I love the idea of it in a brown rice risotto – must try that the next time I make some up. You are a gem for letting me know how it turned out. 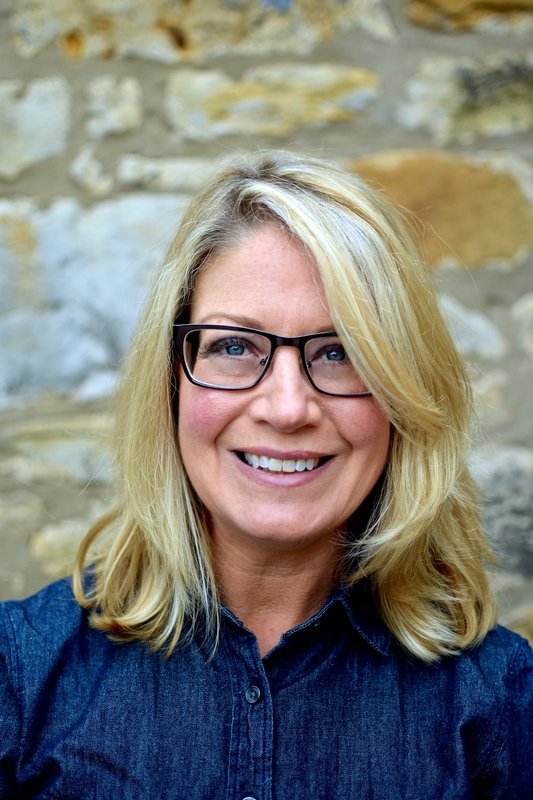 I don’t have to tell you how great it is to get feedback – good and not so good. Thanks so much! Wow this looks amazing. I have to try this. An amazing, tasty & very appetizing looking gratin! Special in flavours too! Yummy!